The Stark Law Regulations include a provision that dictates the conditions under which an employer of a physician may mandate referrals for designated health services. Certain specific conditions must be met if an employer wishes to require its employed physicians to make referrals to the employer’s designated health services. Many institutions assume that an employer may always require an employed physician to make referrals to its ancillary services. That assumption is not correct. The required referrals can only relate to the physician’s services covered by the scope of the employment or the contract. The referral requirement must be reasonably necessary to effectuate the legitimate business purposes of the compensation arrangement. The physician’s compensation must be set in advance for the term of the agreement requiring referrals. The physician’s compensation must be consistent with fair market value for services performed (that is, the payment may not take into account the volume or value of anticipated or required referrals). The arrangement must otherwise comply with an applicable exception under Sec. 411.355 or Sec. 411.357. The requirement to make referrals to a particular provider, practitioner, or supplier is set forth in a written agreement signed by the parties. The requirement to make referrals to a particular provider, practitioner, or supplier may not apply if the patient expresses a preference for a different provider. The referral requirement may not apply to cases where the patient’s insurer determines the provider, practitioner, or supplier;. The referral requirement may not apply where the referral is not in the patient’s best medical interests in the judgment of the referring physician. There can be no requirement that an employed physician make referrals that relate to services that are not provided by the physician under the scope of his or her employment or contract. This scenario most commonly applies in cases where a hospital or health system employs a physician and requires direction of referrals to the system’s designated health services. 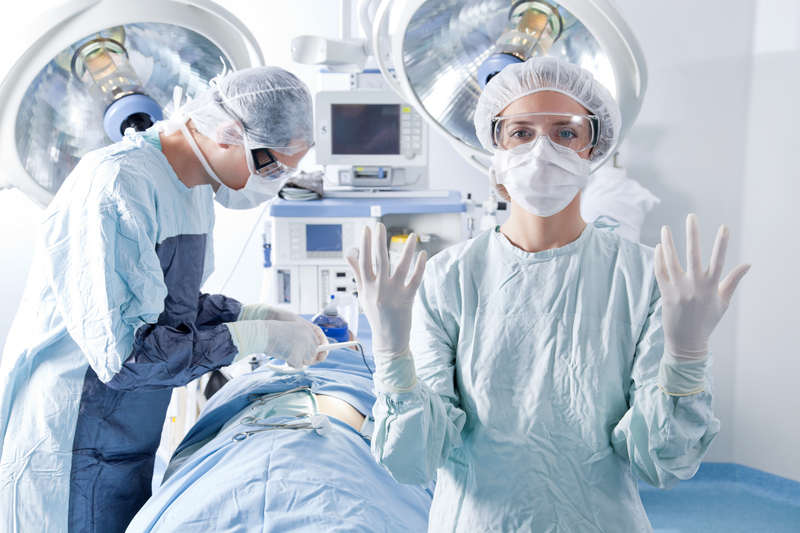 It is not uncommon to see a health system contractually require employed doctors to refer to the hospital or ancillary services of the hospital. The Stark Law permits the employing hospital to require referrals subject to these conditions. It is also common to see referral requirements without including in the contract the various conditions that must be present to permit the direction of referrals. The Stark Law would cast a shadow over a compensation arrangement with an employed physician that requires referrals without subjecting the referrals to the conditions set forth in the Stark regulations. Failing to subject the required referrals to the Stark Law conditions would seem to make the compensation arrangement illegal. Any referral made to the hospital’s designated health services may be tainted and reimbursement arising from the illegally required referrals would be prohibited. The following is the exact wording of the portion of the Stark Law that established the various conditions that must be met in order to permit the provider of designated health services to require employed physician’s to refer to its DHS. (i) Is set in advance for the term of the agreement. written agreement signed by the parties. best medical interests in the physician’s judgment. 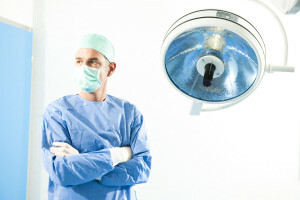 Posted in Clinical Integration, Compliance Programs, False Claims Act, Fraud and Abuse, Physician Employment Issues, Physician-Hospital Organizations, Physicians and Group Practices, Reimbursement, Safe Harbor Regulations, Stark Law and Self Referral | Comments Off on When is a Referral Mandate for Employed Physicians Permitted under the Stark Law? I just wanted to let readers of our health care blog know that Ruder Ware will be opening a Green Bay office and that three Green Bay attorneys will be joining our firm. This will provide us with a presence in the Green Bay/Appleton Markets that will enhance our community presence and enable us to better serve our client in eastern Wisconsin. Our health care and compliance practice with be greatly enhanced as a result of this move. This move will provide a local platform through which we can better serve our health care clients. 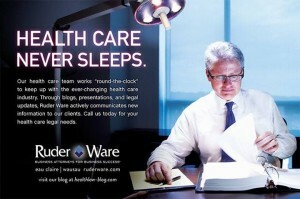 Ruder Ware has a long history of representing health care clients. The firm recognizes that the highly regulated and complex nature of the industry demands the attention of a team of attorneys who, as a group, monitor constantly evolving laws and regulations and their impact on our health care clients. At Ruder Ware, we offer a full-service solution to clients as our focus team consists of health care, business, employment, and litigation attorneys with knowledge of the health care industry. As a result, we are able to take best practices from other industries and apply them to the health care industry, thereby increasing the ability to respond promptly to the rapidly changing health care environment. Members of the focus team have served on the governing bodies of various health care organizations. This service has provided our attorneys with the opportunity to counsel the health care community. WAUSAU, WI – April 27, 2018 – Ruder Ware is pleased to announce the opening of its Green Bay office and that Attorneys Ronald Metzler, Christopher Pahl, and Chad Levanetz will be joining the firm. The new office will be located at 222 Cherry Street, Green Bay, Wisconsin, which is the current location of Metzler, Timm, Treleven, S.C.
Attorney Ron Metzler – Having practiced law for over 30 years, Ron is a well-respected and well-known commercial attorney with close ties to the banking industry. Attorney Chris Pahl – With his strong ties to the Green Bay community, Chris has built his practice around real estate development and condominium law as well as commercial transactions and estate planning. Attorney Chad Levanetz – A seasoned litigation attorney, Chad counsels clients in the areas of real estate, construction, and general business disputes. On June 10, just in time for my birthday (thanks CMS), the Centers for Medicare & Medicaid Services (CMS) released final rules amending the regulatory requirement applicable to the Medicare Shared Savings Program (MSSP). The Final Rules that were published on June 10, 2016 state the intent to encourage additional participation in the program and to ease financial burdens on participating Accountable Care Organizations (ACOs). The regulations attempt to provide incentives for existing ACOS to renew their participation and elect to pursue higher levels of risk. The revised rules reflect an element of additional flexibility that ACOs may be able to take advantage of when transitioning between participation tracks. Clarifications regarding times that shared savings and shared loss claims may be re-opened by CMS. Changes in how benchmarks will be calculated beginning in 2017. (Increasing consideration of regional Medicare expenditures total population health of the population that is assigned to the ACO). Adoption of adjustments based on average fee-for-service Medicare expenditures applicable to the relevant regional service area for purposes of calculating benchmark adjustments. County-by-county averages will be utilized for expenditures attributable to the total cost of services to beneficiaries within the applicable county. Adoption of risk-adjustment factors when revising an ACO’s benchmarks. Risk adjustment is to be based on the relative health status of the ACO’s assigned population. Revision of the manner in which CMS performs truncating and trending calculations. The new rules clarify that CMS has the authority to reopen and make revisions to MSSP payments in cases of fraud and for other similar reasons. Even when fraud does not exist, CMS will have four years after providing notice of initial determination of shared savings or loss to reopen and revise for any good cause. Unfortunately, there is not definition of what constitutes “good cause” in the new rules. In comments, CMS indicates that it will excercise this authority where there evidence that was previously unavailable evidence that indicates error in the original determination or where previously available evidence is clearly determined to have been relied on erroneously. This rather broad “reopening” authority presents significant financial uncertainty for ACOs. Under the new rules, ACOs will now be able to remain in Track 1 for a fourth year before transitioning into Tracks 2 and 3 which involve higher degrees of risk. Additionally, ACOs that choose to progress to higher risk tracks will be able to have their benchmark recalculation deferred for an additional year. These changes are being made to make it easier for ACOs to transition to higher risk tracks. Population health management is bigger than ever now that health reform has become ingrained in our health care system. The concept of population health management is not necessarily new. Related concepts emerged in the 1990s when capitated reimbursement gained some converts. It was known then that in order to succeed under fixed levels of total compensation required systems to be developed to make people healthier while at the same time managing cost and resource utilization. When a network took on capitation, it knew that it had to look at its patients as a population. This was a change from the fee-for- service mindset that was previously and subsequently predominant in the health care system. I think it is fair to say that there were very few organizations that successfully applied population management standards under alternative payment systems in the 1990s. We very quickly saw capitation fall into the background because, with a few exceptions, the system just did not have it figured out yet how to view and manage population health. Population health management has come a long way since those early efforts in the 1990s. The concept is again front stage, but this time organizations have a head start building on what was learned in the past. Technology and data analysis has become much more sophisticated and commonplace. Technology is a necessary component of managing a population health and quality. Evidence based medicine supports population management by collecting and applying baseline data, comparing data to other baselines, helping to structure evidence based care protocols based on current medical outcomes studies, and the ability to measure the success of an applied process or protocol. This move toward technological support of population management was behind the move to virtually mandate electronic health records through legislation and regulations. This technological infrastructure now serves as the backbone to permit data to be extracted in support of evidence-based population health management. Population management is being embraced by forward looking organizations that have a vision of the future. It can be quite an adjustment to make the changes that are necessary to indicate success under a population management system. The old system rewarded providing more services that were reimbursed on a fee for service basis. The old fee-for-service model is changing rapidly. Overall population quality, outcomes and cost efficiency are now taking front seat. Some providers who did very well under the old system can have difficulty adjusting their practice patterns to adjust to the new regimen. More service led to more revenues under the old system. Under population management, more is not always better. Concepts of “more” are being replaced by concepts of “appropriate.” Appropriate levels of service performed in appropriate service locations, by appropriate providers. Hospitals, health care system, physician groups and others are finding it necessary to adapt to a new world in which providers are rewarded for meeting quality objectives for their entire patient population. Where volume used to be king, efficiency and quality have now taken over the health care kingdom. Our health care practice is normally a great indicator of trends in the industry. In the 90’s we did a lot of provider integration work. This work has now come full circle and is again a major part of our health care practice. Our health law practice is involved creating clinically integrated organizations that are equipped to manage population health on several fronts. This is an exciting process for our health law team as we are on the cutting edge of the hottest issues in health care. We are creating new health care systems that include new collaborative relationships between providers. We are applying these concepts in unique and creative ways. This creative process results in a very exciting legal practice. We will be posting a series on clinical integration in which we share some f our experience applying population management and evidence-based evidence standards to a number of specific types of organizations. We will touch on some of the legal, business and operational challenges that we have encountered. Are You Ready for Clinical Integration? When we take on a n ew clinical integration project, one of the first activities we advise is the performance of a snapshot clinical integration readiness analysis. The theory is that a future CIN needs to know where it is in the clinical integration process before it can plan where it needs to go and the steps that it needs to take. The initial assessment gives indications of the existing lay of the land and helps the organization shape an integration business model with a more accurate context. Through this initial assessment process, we can identify structural or governance issues that may hamper further integration. The readiness assessment is only the beginning of a long road toward clinical integration. However, time spent on this initial stage can save significant time and effort in the long term. During early assessment and design stages, we attempt to encourage broad participation by providers. We will normally recommend the creation of a governance and committee structure that is as inclusive as possible. Clinical integration is primarily a process that physicians perform. Mechanisms are created through which physicians collaborate across specialty, in an interdependent way toward the end goals of increasing quality and efficiencies. Ideally, the process should be collaborative between physicians and institutional providers. However, the dynamics between hospitals and physicians can sometimes adversely impact the working relationship. 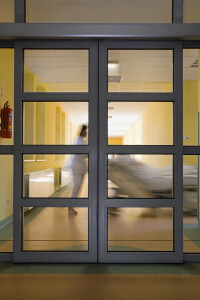 Hospitals have been the center of the health care system through recent history. Changes in the health care system are beginning to change that paradigm. 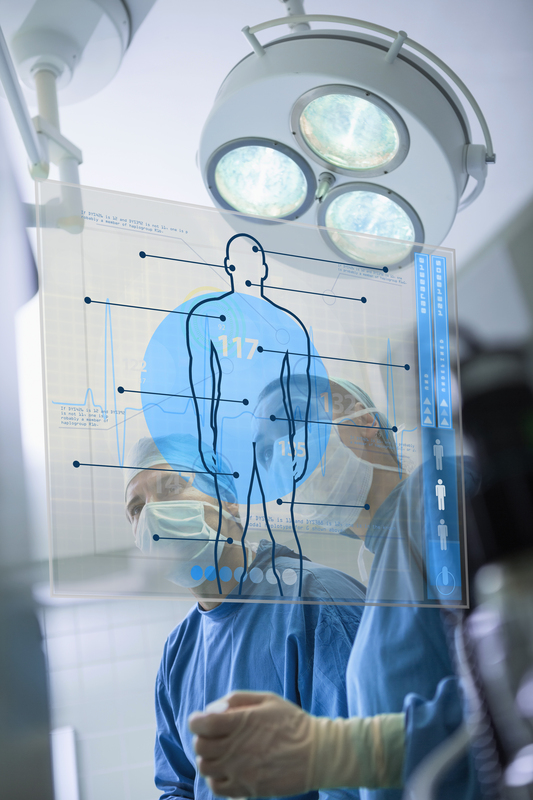 Health systems that recognize the realities of this shift will be at a competitive advantage in the future. In order to meet the challenges of the changing health care system, physicians and facilities need to collaborate. True change and collaboration cannot be forced on physicians. Failure to recognize this will put some institutions behind in the creation of the collaborative organizations that are required to compete in the future. This factor will often manifest itself in the form of governance and control issues. A health care system may be reluctant to share governance and control with independent physicians. Failing to create shared governance models will predictably make physicians reluctant to become adequately engaged in the creation or operation of the system. Many projects shall cover governance and control issues and loose important momentum. 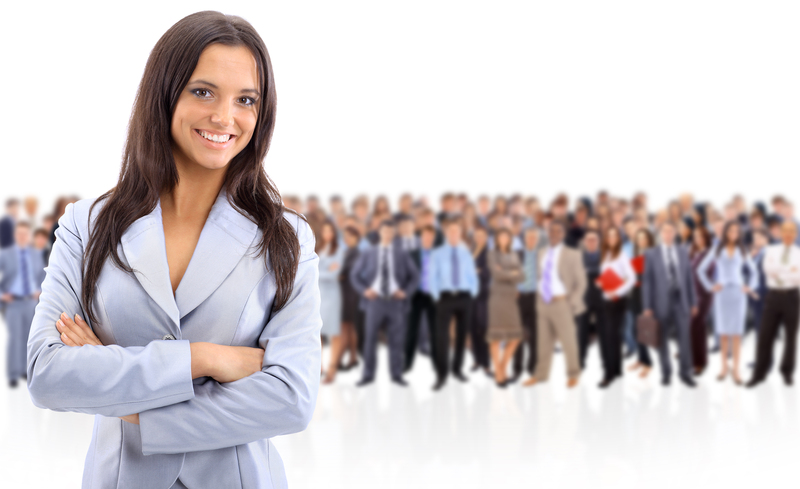 The degree of receptivity to joint governance and control is a significant indicator of potential success. This is an important issue that must be considered early in the assessment process. It is often difficult to “undo” the damage that can be inflicted over these issues early in the process. 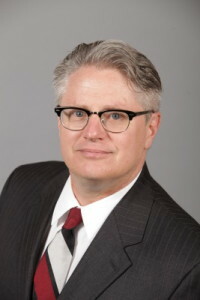 John H. Fisher, CHC, CCEP is a health care attorney at the Ruder Ware law firm. He has been involved in the creation and representation of provider networks since the early 1990s. John has followed legal issues impacting provider groups for over 25 years. As such, he is knowledgeable on the current legal standards as well as the historic perspective that is often relevant to an appropriate analysis. He is currently involved advising providers and their counsel on the development of clinically integrated provider groups in various locations around the country. A Medicaid enrolled certified mental health or substance abuse treatment program may be eligible for Medicaid reimbursement for telehealth services if it is also certified to provide treatment via telehealth. Medicaid-covered services provided via telehealth are reimbursed in the same way Medicaid reimburses for face-to-face contacts between providers and consumers. The Medicaid Handbook Update #2004-88 at https://www.forwardhealth.wi.gov/kw/pdf/2004-88.pdf, described coverage requirements. 1. The agency must be a certified program under one of the specified program standards: Wis. Admin. Code DHS34, 35, 36, 40, 61, 63, or 75 (except for the provision of opioid treatment under DHS 75.15). 2. Persons providing mental health or substance abuse treatment services via telehealth must be a rostered staff member of one of these certified programs. 3. Medicaid will not accept claims from individual professional staff. 4. The certified program also is certified for telehealth by the Division of Quality Assurance. 5. The treatment service must be a covered service under one of the Medicaid mental health or substance abuse benefits. 6. The treatment service may not be group therapy. 8. Providers must continue to follow all Medicaid coverage policies and all other requirements for each underlying service in the same manner as if the service was provided on face-to-face basis. For more information concerning telehealth program issues for mental health care or other provider types, contact John Fisher at through the contact information on this site. Section 1899(b)(2)(B) of the Act requires participating ACOs to “enter into an agreement with the Secretary to participate in the program for not less than a 3-year period.” If the ACO is approved for participation in the Shared Savings Program, an executive who has the ability to legally bind the ACO must sign and submit a participation agreement to CMS (Sec. 425.208(a)(1)). Under the participation agreement with CMS, the ACO agrees to comply with the regulations governing the Shared Savings Program (Sec. 425.208(a)(2)). ACO Participation In MSSP Will Not Be Approved Unless The ACO Has An Agreement In Place With Participating Providers. An ACO’s application to participate in the Shared Savings Program and any subsequent request to add new ACO participants will not be approved if the ACO does not have an agreement in place with each of its ACO participants in which each ACO participant agrees to participate in the Shared Savings Program and to comply with the requirements of the Shared Savings Program. In our review of applications to participate in the Shared Savings Program, we received many ACO participant agreements that were not properly executed, were not between the correct parties, lacked the required provisions, contained incorrect information, or failed to comply with Sec. 425.304(c) relating to the prohibition on certain required referrals and cost shifting. When we identified such agreements, ACOs experienced processing delays, and in some cases, we were unable to approve the ACO applicant and/or its ACO participant to participate in the Shared Savings Program. Consequently, we issued guidance for ACO applicants in which we reiterated the required elements for ACO participant agreements and strongly recommended that ACOs employ good contracting practices to ensure that each of their ACO participant agreements met our requirements (see http://www.cms.gov/Medicare/Medicare-Fee-for-Service-Payment/sharedsavingsprogram/Downloads/Tips-ACO-Developing-Participant-Agreements.pdf). An explicit requirement that the ACO participant or the ACO provider/supplier will comply with the requirements and conditions of the Shared Savings Program (part 425), including, but not limited to, those specified in the participation agreement with CMS. A description of the ACO participants’ and ACO providers’/suppliers’ rights and obligations in and representation by the ACO. A description of how the opportunity to get shared savings or other financial arrangements will encourage ACO participants and ACO providers/suppliers to follow the quality assurance and improvement program and evidence-based clinical guidelines. Remedial measures that will apply to ACO participants and ACO providers/suppliers who do not comply with the requirements of their agreements with the ACO. Our guidance also requires that the ACO participant agreements be made directly between the ACO and the ACO participant. We believe it is important that the parties entering into the agreement have a direct legal relationship to ensure that the requirements of the agreement are fully and directly enforceable by the ACO, including the ability of the ACO to terminate an agreement with an ACO participant that is not complying with the requirements of the Shared Savings Program. Additionally, a direct legal relationship ensures that the ACO participant may, if necessary, terminate the agreement with the ACO according to the terms of the agreement without interrupting other contracts or agreements with third parties. Therefore, the ACO and the ACO participant must be the only parties to an ACO participant agreement; the agreements may not include a third party to the agreement. For example, the agreement may not be between the ACO and another entity, such as an independent practice association (IPA) or management company that in turn has an agreement with one or more ACO participants. Similarly, existing contracts between ACOs and ACO participants that include third parties should not be used. We recognize that there are existing contractual agreements between entities (for example, contracts that permit organizations like IPAs to negotiate contracts with health care payers on behalf of individual practitioners). However, because it is important to ensure that there is a direct legal relationship between the ACO and the ACO participant evidenced by a written agreement, and because ACO participants continue to bill and receive payments as usual under the Medicare FFS rules (that is, there is no negotiation for payment under the program) we believe that typical IPA contracts are generally inappropriate and unnecessary for purposes of participation in the Shared Savings Program. An ACO and ACO participant may use a contract unrelated to the Shared Savings Program as an ACO participant agreement only when it is between the two parties and is amended to satisfy the requirements for ACO participant agreements under the Shared Savings Program. It is the ACO’s responsibility to make sure that each ACO participant agreement identifies the parties entering into the agreement using their correct legal names, specifies the term of the agreement, and is signed by both parties to the agreement. We validate the legal names of the parties based on information the ACO submitted in its application and the legal name of the entity associated with the ACO participant’s TIN in the Provider Enrollment Chain & Ownership System (PECOS). We reject an ACO participant agreement if the party names do not match our records. It may be necessary for the ACO to execute a new or amended ACO participant agreement. Although the ACO participant must ensure that each of its ACO providers/suppliers (as identified by a National Provider Identifier (NPI)) has agreed to participate in the ACO and will comply with program rules, the ACO has the ultimate responsibility for ensuring that all the ACO providers/suppliers that bill through the TIN of the ACO participant (that is, reassign their right to receive Medicare payment to the ACO participant) have also agreed to participate in the Shared Savings Program and comply with our program regulations. The ACO may ensure this by directly contracting with each ACO provider/supplier (NPI) or by contractually requiring the ACO participant to ensure that all ACO providers/suppliers that bill through its TIN have agreed to participate in, and comply with the requirements of, the Shared Saving Program. If the ACO chooses to contract directly with the ACO providers/suppliers, the agreements must meet the same requirements as the agreements with ACO participants. We emphasize that even if an ACO chooses to contract directly with the ACO providers/suppliers (NPIs), it must still have the required ACO participant agreement. In other words, the ACO must be able to produce valid written agreements for each ACO participant and each ACO provider/supplier. Furthermore, since we use TINs (and not merely some of the NPIs that make up the entity identified by a TIN) as the basis for identifying ACO participants, and we use all claims submitted under an ACO participant’s TIN for financial calculations and beneficiary assignment, an ACO may not include an entity as an ACO participant unless all Medicare enrolled providers and suppliers billing under that entity’s TIN have agreed to participate in the ACO as ACO providers/suppliers. Correct: A large group practice (Medicare-enrolled TIN) decides to participate in an ACO as an ACO participant. Its owner signs an agreement with the ACO on behalf of the practice to participate in the program and follow program regulations. Also, all practitioners that have reassigned their right to receive Medicare payments to the TIN of the large group practice have also agreed to participate and follow program regulations. Therefore, the ACO may include this group practice TIN on its list of ACO participants. Incorrect: A large group practice (Medicare-enrolled TIN) decides to participate in an ACO as an ACO participant. Its owner signs an agreement to participate in the program and follow program regulations. However, not all practitioners that have reassigned their right to receive Medicare payment to the group practice TIN have agreed to participate in the ACO and follow Shared Savings Program regulations. Therefore, the ACO may not include this group practice TIN on its list of ACO participants. Incorrect: Several practitioners in a large group practice (Medicare-enrolled TIN) decide to participate in an ACO. However, the group practice as a whole has not agreed to participate in the program. Therefore, the ACO may not include this group practice TIN on its list of ACO participants. We propose to codify much of our guidance regarding the content of the ACO participant and ACO provider/supplier agreements. The ACO and the ACO participant are the only parties to the agreement. The agreement must be signed on behalf of the ACO and the ACO participant by individuals who are authorized to bind the ACO and the ACO participant, respectively. The agreement must expressly require the ACO participant to agree, and to ensure that each ACO provider/supplier billing through the TIN of the ACO participant agrees, to participate in the Shared Savings Program and to comply with the requirements of the Shared Savings Program and all other applicable laws and regulations (including, but not limited to, those specified at Sec. 425.208(b)). The agreement must set forth the ACO participant’s rights and obligations in, and representation by, the ACO, including without limitation, the quality reporting requirements set forth in Subpart F, the beneficiary notification requirements set forth at Sec. 425.312, and how participation in the Shared Savings Program affects the ability of the ACO participant and its ACO providers/suppliers to participate in other Medicare demonstration projects or programs that involve shared savings. The agreement must describe how the opportunity to receive shared savings or other financial arrangements will encourage the ACO participant to adhere to the quality assurance and improvement program and evidence-based medicine guidelines established by the ACO. The agreement must require the ACO participant to update enrollment information with its Medicare contractor using the PECOS, including the addition and deletion of ACO professionals billing through the TIN of the ACO participant, on a timely basis in accordance with Medicare program requirements. The Agreement must also require ACO participants to notify the ACO within 30 days after any addition or deletion of an ACO provider/supplier. The agreement must permit the ACO to take remedial action against the ACO participant, and must require the ACO participant to take remedial action against its ACO providers/suppliers, including imposition of a corrective action plan, denial of shared savings payments (that is, the ability of the ACO participant or ACO provider/supplier to receive a distribution of the ACO’s shared savings) and termination of the ACO participant agreement, to address noncompliance with the requirements of the Shared Savings Program and other program integrity issues, including those identified by CMS. The term of the agreement must be for at least 1 performance year and must articulate potential consequences for early termination from the ACO. The agreement must require completion of a close-out process upon the termination or expiration of the ACO’s participation agreement that requires the ACO participant to furnish data necessary to complete the annual assessment of the ACO’s quality of care and addresses other relevant matters. Although we propose that the term of an ACO participant agreement be for at least 1 performance year, we do not intend to prohibit early termination of the agreement. We recognize that there may be legitimate reasons to terminate an ACO participant agreement. However, because care coordination and quality improvement requires commitment from ACO participants, we believe this requirement would improve the likelihood of success in the Shared Savings Program. We are also considering whether and how ACO participant agreements should encourage participation to continue for subsequent performance years. We seek comment on this issue. In the case of an ACO that chooses to contract directly with its ACO providers/suppliers, we propose virtually identical requirements for its agreements with ACO providers/suppliers. We note that agreements with ACO providers/suppliers would not be required to be for a term of 1 year, because we do not want to impede individual practitioners from activities such as retirement, reassignment of billing rights, or changing employers. In the case of ACO providers/suppliers that do not have a contract directly with the ACO, we are considering requiring each ACO to ensure that its ACO participants contract with or otherwise arrange for the services of its ACO providers/suppliers on the same or similar terms as those required for contracts made directly between the ACO and ACO providers/suppliers. In addition, we propose to add at Sec. 425.204(c)(6) a requirement that, as part of the application process and upon request thereafter, the ACO must submit documents demonstrating that its ACO participants, ACO providers/suppliers, and other individuals or entities performing functions or services related to ACO activities are required to comply with the requirements of the Shared Savings Program. In the case of ACO participants, the evidence to be submitted must, consistent with our past guidance, include executed agreements or sample form agreements together with the first and last (signature) page of each form agreement that has been fully executed by the parties to the agreement. However, we reserve the right, to request all pages of an executed ACO participant agreement to confirm that it conforms to the sample form agreement submitted by the ACO. We further propose at Sec. 425.116(c) that executed ACO participant agreements must also be submitted when an ACO seeks approval to add new ACO participants. The agreements may be submitted in the same form and manner as set forth in Sec. 425.204(c)(6). Finally, although we would not routinely request an ACO to submit copies of executed agreements with its ACO providers/suppliers or other individuals or entities performing functions or services related to ACO activities as part of the ACO’s application or continued participation in each performance year, we reserve our right to request this information during the application or renewal process and at any other time for audit or monitoring purposes in accordance with Sec. 425.314 and Sec. 425.316. We believe that the proposed requirements regarding agreements between ACOs and ACO participants, together with our earlier guidance regarding good contracting practices, would enhance transparency between the ACO, ACO participants, and ACO professionals, reduce turnover among ACO participants, prevent misunderstandings related to participation in the Shared Savings Program, and assist prospective ACOs in submitting complete applications and requests for adding ACO participants. We believe that codifying these requirements would assist the ACO, ACO participants, and ACO providers/suppliers in better understanding the program and their rights and responsibilities while participating in the program. We solicit comment on the proposed new requirements and on whether there are additional elements that should be considered for inclusion in the agreements the ACO has with its ACO participants and ACO providers/suppliers. Clinically integrated networks present unique credentialing issues that are normally not present in hospital or facility credentialing. These unique issues stem from the very nature of integrated networks which require providers to comply with evidence-based protocols, individualized care plans, quality metrics, efficiency standards, and other system standards. In order to assure compliance with these standards, integrated networks need to assert much more control over the clinical practices of its provider members than has historically been exercised in the hospital setting. Credentialing and recredentialing processes need to be put in place to assure that providers practice in conformance with evidence-based practice protocols, coordinate care with other network providers, and otherwise work well within the system. Integrated networks face a number of choices when determining how to structure their credentialing and recredentialing processes. A threshold decision is whether the credentialing process should be structured to take advantage of the immunities that are available under the Health Care Quality Improvement Act (“HCQIA”). Qualifying under the HCQIA has some benefits but also carries some burdens. In order to qualify for HCQIA immunities, the organization must implement a formal credentialing, hearing, and appeal process in order to qualify for immunities. A CIN must also register with the HRSA and is required to make reports to the Practitioner Databank if adverse peer review determinations are made. The CIN receives a Data Bank Identification Number and can be penalized for not reporting adverse determinations. The reporting requirement is an issue that provider networks may wish to avoid. The obligation to report has the practical effect of making peer review actions much more controversial and prone to litigation because a database report is a serious negative mark on a physician’s record. On the other hand, the immunities offered by the HCQIA can be extremely valuable to a clinically integrated network. One of the immunities that is available under the HCQIA is from the treble damage provisions under federal antitrust laws. This immunity cannot be discounted; particularly with provider networks that make more aggressive credentialing decisions based on achievement of quality and cost issues and infirmity with system protocols. If a choice is made to secure the HCQIA immunities, a comprehensive credentialing, peer review and fair hearing process is required as is use of the Practitioner Databank. Furthermore, in order to qualify, adverse actions only be taken in furtherance of quality healthcare, after a reasonable effort to develop the facts, with adequate notice and hearing to the affected practitioner. The Act and interpreting case law have created rather detailed requirements for notice and hearing. The end result is that extensive procedural processes must be in place and consistently followed by the organization. This of course adds another layer of complexity and cost to the organization. At the same time, it greatly decreases the organization’s potential liability exposure which under certain circumstances could greatly exceed the cost of complying with HCQIA requirements. Someone must be busy at the Office of Inspector General’s Office. Last week they released two new advisory opinions and a Special Fraud Alert. This week they released another Advisory Opinion, this time addressing sharing savings from a preferred hospital network between a Medigap insurer and its policy beneficiaries. The program at issue provided a premium credit of $100 toward the policyholder’s next renewal premium for participating in a discount program involving price reductions from a physician-hospital organization. The second part of the program involved negotiated service rates with a physician-hospital organization (PHO). The PHO agreed to discounts of up to 100% of the Medicare Part A inpatient deductibles which would normally be paid by the Medigap plan. The PHO received an administrative fee from the Medigap plan for each discount that was provided by the PHO. The OIG analysed the program under the civil monetary penalty (CMP) provisions and the Anti-Kickback Statute (AKS) and concluded that the arrangement would not constitute grounds for civil monetary penalties or administrative sanctions. The OIG found that discounting of the inpatient deductible created a low risk of fraud or abuse because the Medicare Part A payments are fixed and the discount would not impact reimbursement amounts. Additionally, the OIG observed that patients would not generally haveknowledge of the discount and would not be encouraged to seek additional care. The program did not offerfinancial rewards to the physicians involved in the patient’s care and the program was open to all providers who agreed to the discount program through participation in the PHO. The OIG also found that the premium credits that were provided to beneficiaries created minimal risk of program abuse. The OIG also noted that the proposed arrangement has the potential of lowering costs for policyholder under the Medigap plan and that the savings would be reported to the state regulatory agency. The Center for Medicare and Medicaid Services (CMS) has issued final regulations revising requirement applicable to Accountable Care Organizations (ACOs) under the Medicare Shared Savings Program (MSSP). CMS previously issued proposed rules and a notice of rulemaking in December of 2014 which were finalized on June 9, 2015 after consideration of comments received during the comment period. The new rules are effective in August with just a few exceptions and contain some fairly significant changes in the rules that govern ACOs and applications under the MSSP. We will be reviewing the regulations in detail and providing a comprehensive summary, so check back or grab our RSS feed. 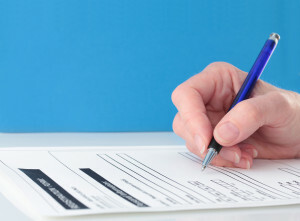 New requirements for ACO specific contracts or contract amendments. Additional details on the ACO requirement to establish mechanisms for shared governance among ACO participants. New standards for submitting a list of ACO participants/supplier. Expansion of program integrity and provisions to protect beneficiaries. Rules regarding adjustment to benchmarks resulting from mergers or acquisitions. Specific requirements for ACOs to submit executed provider agreements along with their initial application and upon renewal. CMS authority to take action against or terminate and ACO that does not continue to meet the minimum assigned beneficiary standards. Rules regarding modification to benchmarks during a pending performance year. A prohibition on an ACO provider filling the “beneficiary representative” slot on the ACO’s governing body. Additional flexibility regarding the qualifications of the ACO’s medical director. A transitional process from the Pioneer program to the MSSP. Revised process for beneficiaries to elect to opt out of data sharing. Beneficiaries will only be permitted to opt out directly through CMS. Expansion of beneficiaries that are included in aggregate reports. Removal of the requirement for ACOs to provide opt-out information to beneficiaries before requesting claims data. Waiver of the three-day inpatient stay rule for certain nursing home admissions during Track 3. Several revisions to the beneficiary assignment process. Changes to the annual shared savings repayment mechanisms. Permitting a second year of Track 1 participation for certain ACOs. Revisions to the manner in which ACOs may select their MSR/MLR under Track 2. Provision for prospective assignment of beneficiaries to Track 3. Sharing of up to 75% of savings in Track 3. First year benchmarking remains unchanged. Revision of benchmarking methods applicable to ACOs entering their second and subsequent contract periods. Benchmarking years will be equally weighed to reflect the average per capita shared savings. You are currently browsing the archives for the Clinical Integration category.